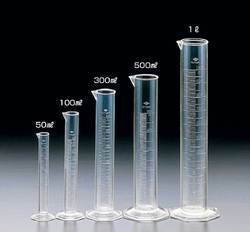 We are consistent in offering a reliably accurate range of Laboratory Glasswares & Equipments. These equipments are widely used for a successful assistance in carrying out chemical relevant experiments in various laboratories. These apparatuses are used for easy operational features and conventional structures that are easy to handle and manage. In this reliable range we are offering Scientific Jars, Scientific Splash Head, Scientific Still Head and Pipeline Filters. Relied upon for performing accurately, these equipments are bound to give best outputs. 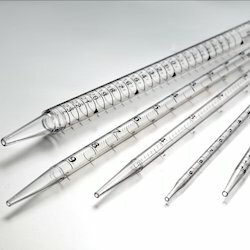 We are indulged in supplying an unmatchable array of Scientific Pipettes, which finds application in clinical, research and industrial laboratories. These are considered as medically effective due to their compliance with the international quality norms. Our precisely engineered pipettes are durable as well as reliable. 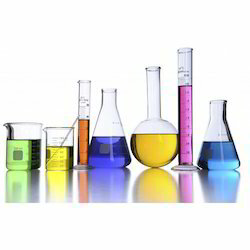 Owing to our rich industry experience and efficiency in the domain, we have been able to stand amidst the leading manufacturers and suppliers of excellent quality Laboratory Glassware. These precisely engineered products are abrasion, chemical and heat resistant. Our clients can also avail these products in customized options as per their specific requirements. We are engaged in offering a compendious range of Lab Adapters to our esteemed clients. These adapters are manufactured in accordance with the international quality standards. Our range is made available in various shapes and sizes in order to meet the variegated demands of the clients. Apart from this, customized solutions are offered for fulfilling the specific requirements of the clients. 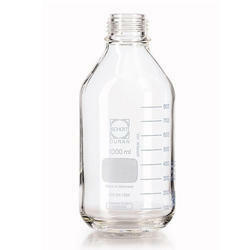 We have for our clients a wide range of Laboratory Bottle. This range of bottles has been made from some of the best quality raw material and we are prominent in supplying this range to our customers pertaining from chemical and pharmaceutical industries. These industries require these bottles to safeguard chemicals and other important pharmaceutical products. We avail these bottles to our clients to our clients on the most comprehensive and competitive prices. In application where there is need for the reflux to be at a fixed value, then it is advisable to fit an electro-magnetically or pneumatically operated Automatically Operated Reflux Separator (Magnetically) in conjunction with timer. Automatically controlled reflux separators are detailed below. 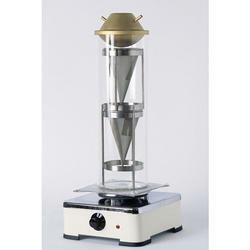 This type of reflux separator uses a swinging funnel mechanism. 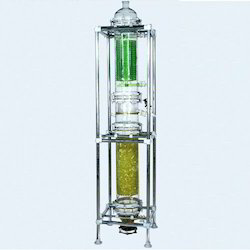 The funnel, which has a soft iron core sealed into it, is operated magnetically from outside the column so that the condensate can be removed from the column and reflux returned to the column in correct ratio. Activation of the electro-magnet moves the funnel into the off-take position. The electro-magnet (shown dotted) and timer should be ordered separately. Main hole (DN2) is provided for SRHM 9 and above sizes. DN DN1 DN2 L L1 Cat. Ref. Industrial Timers are designed to use with Electro-magnets to provide a correct ratio of reflux and distillate when operating a Magnetically operated reflux divider. Two independent knobs are provided for time settings of Reflux and Off-take. During 'Off-take' it activates the electro-magnet, which attracts the swinging funnel of reflux divider, and distillation comes out. Both periods can be set accurately within a range of 0-50 seconds. Our company has been regarded as a consistent manufacturer and supplier of Scientific Splash Head. These are offered by us in a wide variety of shapes and designs as well as sizes. As a matter of fact, these equipments are finely durable in nature and we have processed them using best grade raw material. Made form best quality raw material these are completely as per the clients' specifications with a defiance to the industrial norms. 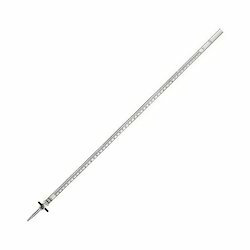 Leveraging on the skills of our professionals, we are able to manufacture and supply a wide variety of Scientific Burette at competitive prices. The quality products offered by us are manufactured in compliance with the set industry standards and clients' requirements. Our range is best known for its dimensional accuracy, durability, heat & chemical resistance.